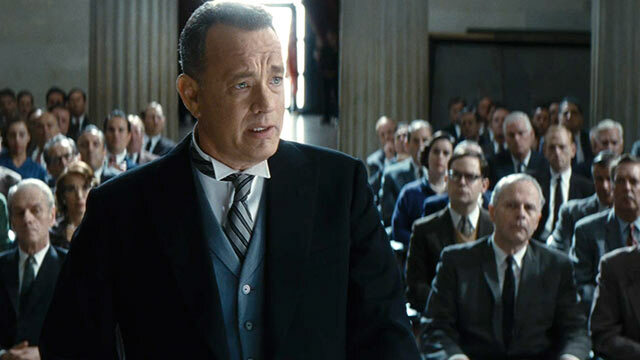 From the trailer it’s easy to see that “Bridge of Spies” has some strong production design and cinematography. With Kaminski behind the lens, Stockhausen behind the set blueprints, and Newman conducting the score; “Bridge of Spies” rose through our award-prediction ranks. His past two films, “Lincoln” and “War Horse” were also strong technical films. “War Horse” has received a significant amount of backlash however for being too schmaltzy. With “Bridge of Spies” I actually saw someone post that Steven Spielberg doesn’t have a cynical bone in his body. I’d almost go as far to say that both of those films aren’t my definition of Spielbergian – at all. Life is cynical, so it’s not a stretch to say that “War Horse” or “Lincoln” aren’t a proper reflection of life, but what dictates or defines how cynical a film should be? People have different perspectives of cynicism. People wonder: What would a Tarantino film by without all this stylistic violence? What would a Wes Anderson film by without all the color-coordinated quirkiness? Who knows? Probably not good. Director’s tell their stories through different lenses. Steven Spielberg, more often than not, chooses to show dark sides of life, through uplifting and hopeful moments. I can’t wait to see “Bridge of Spies.” I just thought it was interesting how people kept reacting to it and how people keep reacting to Spielbergian films. It’s worth a greater discussion.